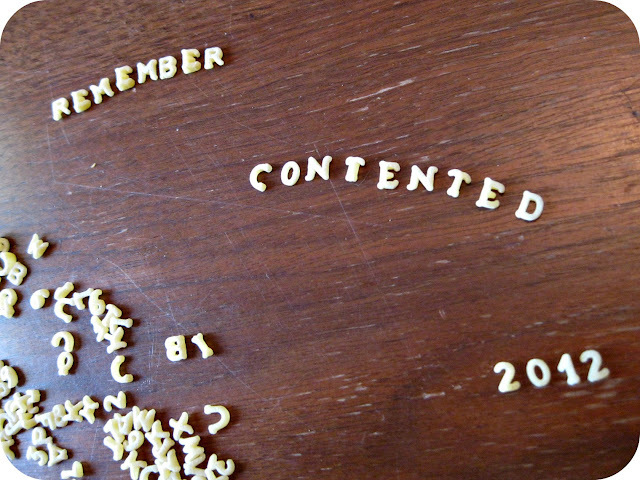 Mom and I were looking at some recipes online when we happened upon one for alphabet soup. 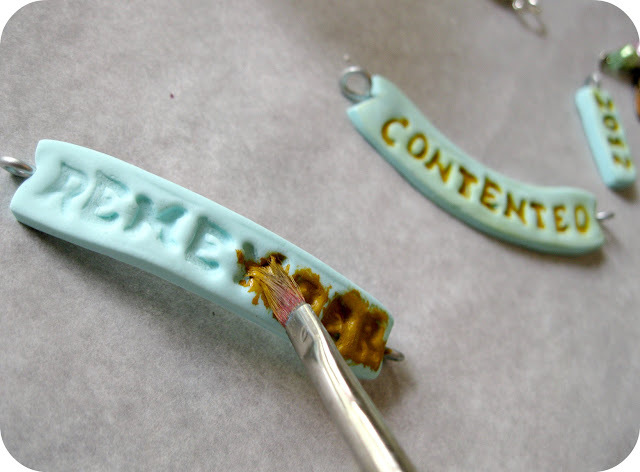 When we saw the image of the alphabet noodles strewn into the pot we got the idea to use them as stamps to create sentiment jewelry. Dump out some alphabet pasta and spell out some words. Make sure all the letters you pick are the most perfectly shaped you can find. 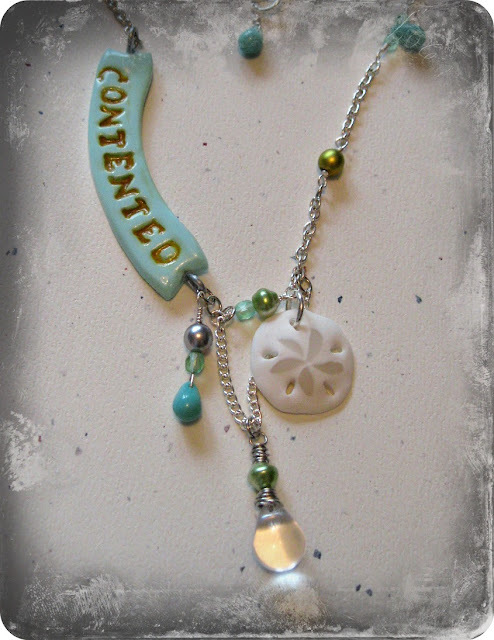 Soften some left over clay and shape into 1cm thick sections that will fit your word. Place the letter pasta into the clay in reverse. If you want to double check the spelling you can hold the stamp up to a mirror. 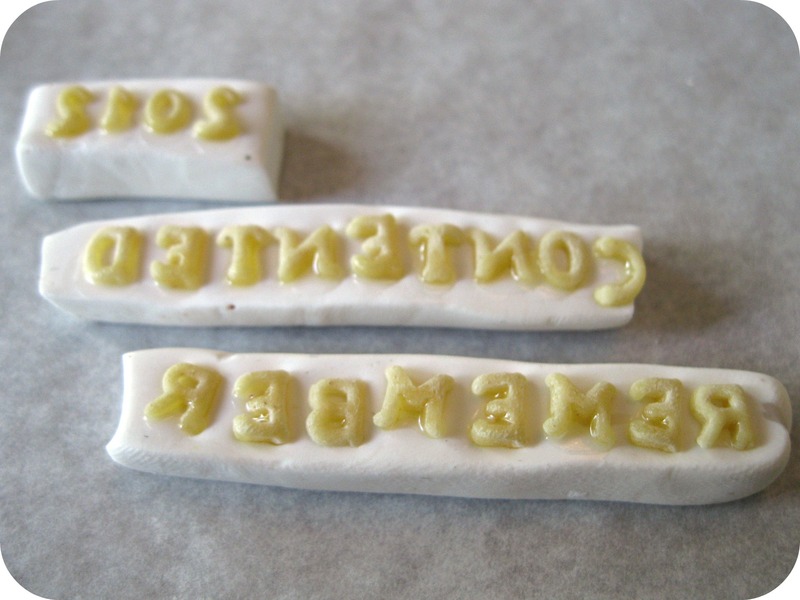 Bake the pasta word fimo stamps in a preheated 230 degree oven for 15 minutes and allow to cool. 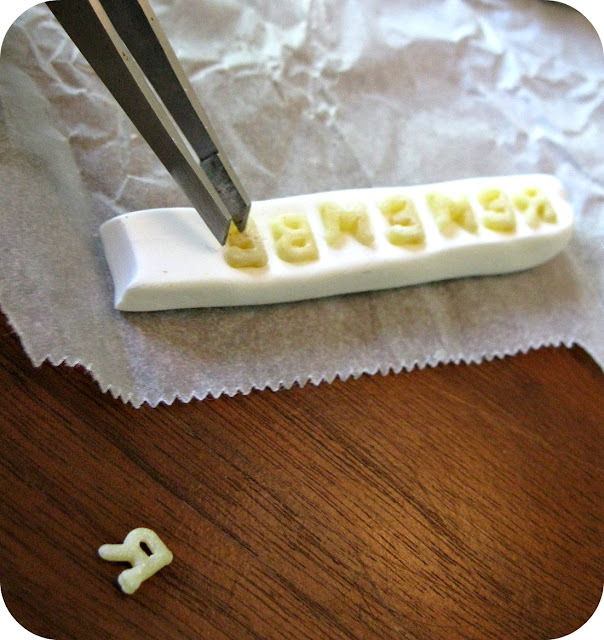 Put a drop of super glue onto each pasta letter, allowing the glue to seep around the pasta onto the clay. This will make sure the little letters will stay in place over many uses. Roll out some STAEDTLER fimo in any colour you'd like to about 1/2cm thick and brush some corn starch onto the surface of the sheet to act as a mold release. 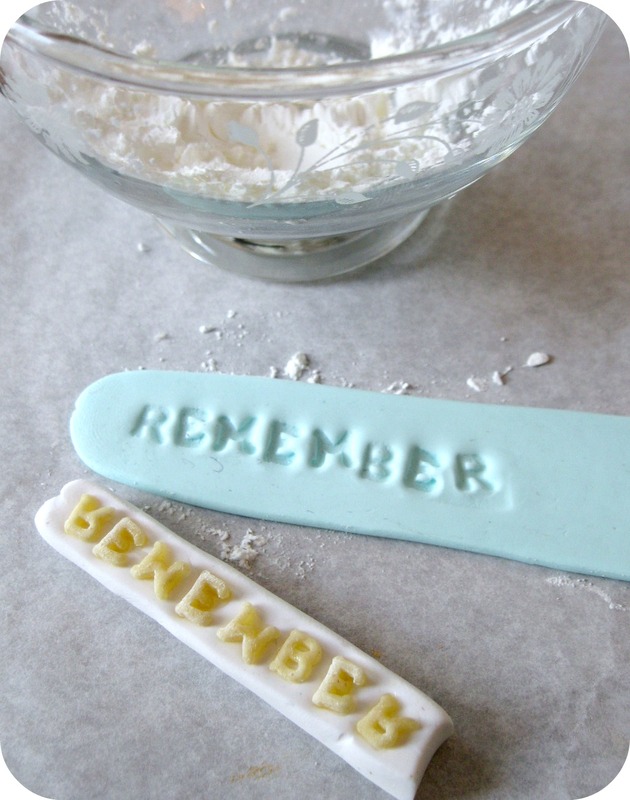 Stamp the word into the clay sheet firmly without wiggling it. 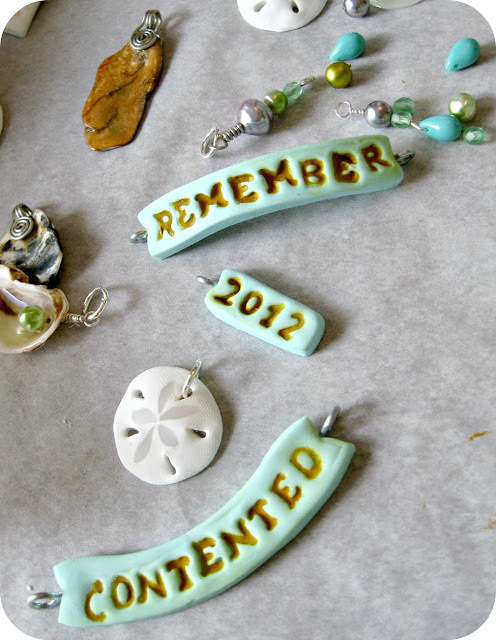 Cut away any unwanted clay around the words and shape the clay as desired. 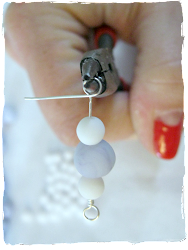 Now is a good time to insert jewelry findings like eye hooks. Bake the pieces in a preheated 230 degree oven for 15 minutes and let them cool off before handling them. Load a stiff brush with a contrasting acrylic paint colour and mush the paint into the letter indents. Wipe off any extra paint with a damp cloth before the paint dries. Remove and glue into place all eye hooks using super glue. 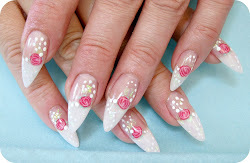 Use a medium grit nail file or sand paper to file away any paint that has clung to the surface of the pieces. 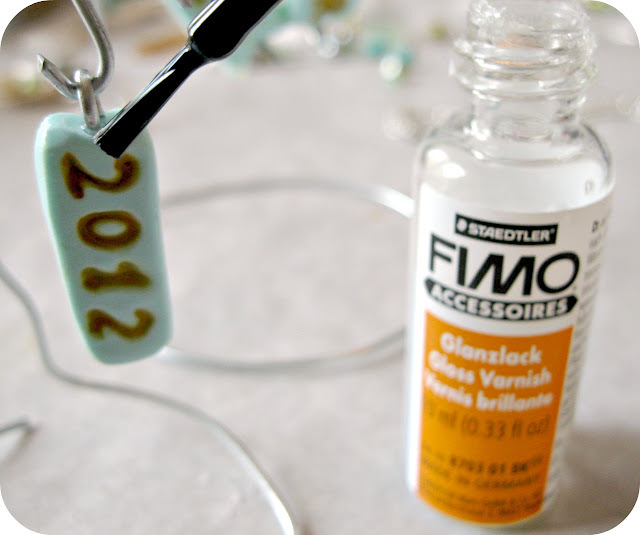 Give each piece two coats of STAEDTLER fimo gloss varnish, allowing each piece to dry between coats. There are so many different ways to use these banners. Keep me updated on how you decide to use them. I can't wait to experiment more. 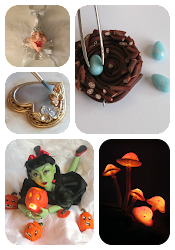 Just discovered your blog and i love it!! And this tutorial.. super!! I'm amazed at this. 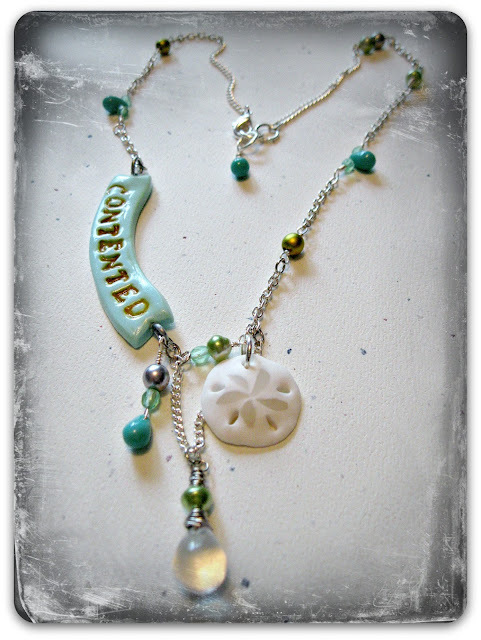 I'm just getting into clay (I sew and hand-embroider) and I never would have thought to use alphabet pasta. I'll bet I could do the same with Disney pasta! Little pasta stars would be sweet too.